VOLGOGRAD, Russia (AP) Coaches often get the criticism when things go awry on the pitch, and arguably don’t get enough of the credit when things turn out just right. As well as bringing in the speedy Musa as one of three changes to the starting lineup, Rohr altered the positions of his two standout players. Captain John Obi Mikel was moved back from a more offensive midfield position to act as a shield in front of the defense, a role he’s accustomed to at his club, Tianjin Teda in China, and formerly at Chelsea. And Victor Moses, who has been part of Nigeria’s attacking unit for years, was brought back to play as a box-to-box wing-back – as he does for Chelsea. ”You have to show that you are a unit when you lose,” he said. Coach Jorge Sampaoli is bearing the brunt of Argentina’s poor start to the tournament – a 3-0 loss to Croatia following a 1-1 draw with Iceland. Nigeria will face Argentina in its last Group D match on Tuesday in St. Petersburg. A win for Nigeria would be enough to advance, and a draw could also be enough depending on the result of the Croatia-Iceland game. 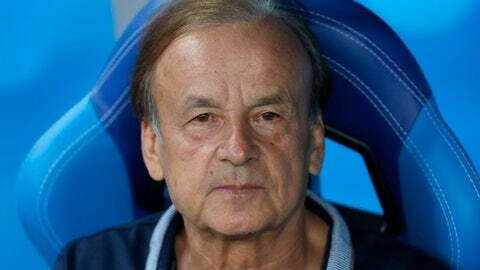 Rohr is hopeful his young charges – Nigeria is the youngest squad at the World Cup – will push on against Lionel Messi’s Argentina. ”We have much to learn and remain modest, but with this spirit you can perhaps hope against Argentina for a surprise,” he said.